Camera over looks a mock scrape. Over the years I have tried various brands of trail cameras with disappointing results. I've got an older Moultrie (big 6 volt battery) that "kinda" works but I have to do a series of jumping jacks in front of it to trigger a photo. Several years ago I bought two WildGame cameras, (used 4 c batteries) both are not working this year. In the last few years trail cameras have gotten more compact, have better battery life, quicker trigger speeds, and better image quality. Last year I purchased a compact Tasco that holds 4 AA batteries that I swear will last 6 months. It works but the images are not of the highest quality. Unless you are looking to frame and hang your pictures it seems to be more than adequate for scouting work. I just want it to document what passes in front of the camera. I still have this one and continue to use it today. The image above was taken on the 7th of November. Range and trigger speeds are your two most important elements of camera selection. 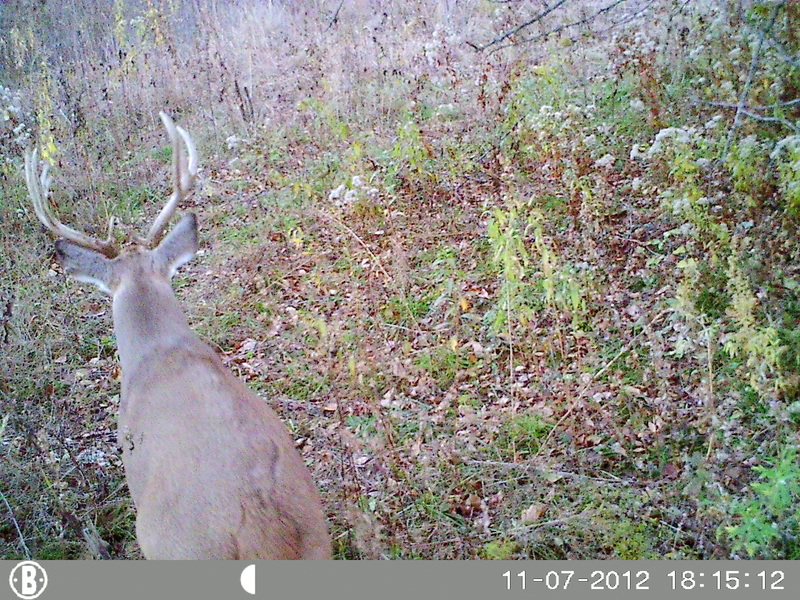 Game cameras with less than 1 second trigger speeds are available but they are much more expensive. Reconyx HC600 has a trigger speed of less than a quarter of a second but cost a whopping $550! Bushnell does make a cameras(Trophy Cam HD) that has trigger speeds down to .6 seconds but retails for $249. my stand on the 10th. If you are watching a food plot or feeder the fast trigger speeds are not necessary. But what about trail watching? An alternative to the fast trigger speeds is to give the deer a reason to slow down on the trail. I like to make a mock scrape at the area of the trial I want the buck to stop at. A fresh scrape with a squirt of doe in estrus or buck urine will get the bucks attention long enough for the trail camera to record the deer. I think you can be much more successful spreading 5 cameras out over your hunting area than having one super-fast expensive camera. Before deploying a trail camera check local rules on their use. After hearing about them being outlawed in certain areas I called around to several wildlife refuges within the state of Arkansas. Richard Gray, enforcement officer for my favorite National wildlife refuge, White River, says that yes, they do have rules prohibiting leaving Trail cameras overnight. Apparently they don't specifically have a rule that says you can't leave trail camera on the refuge. What they do have is a rule that prohibits leaving or "abandoning" any personal property on the refuge. Specific exceptions have been made for tree-stands and boats over the years. I would like to see an exception for game cameras as well. 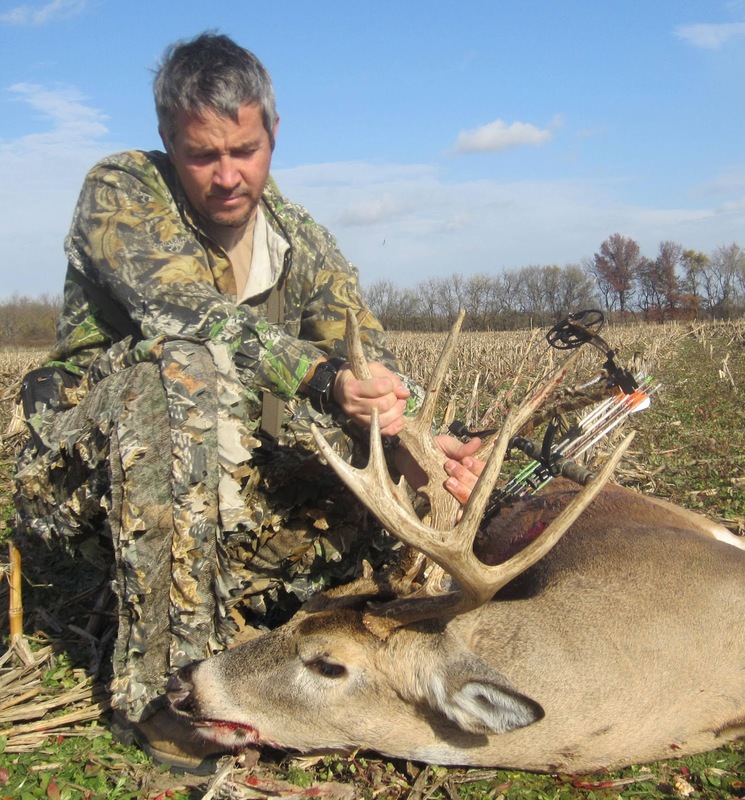 Trail cameras are useful, fun, and can extend your hunting season in a non-consumptive way. To me they add a whole new dimension and exciting element to the scouting endeavor.